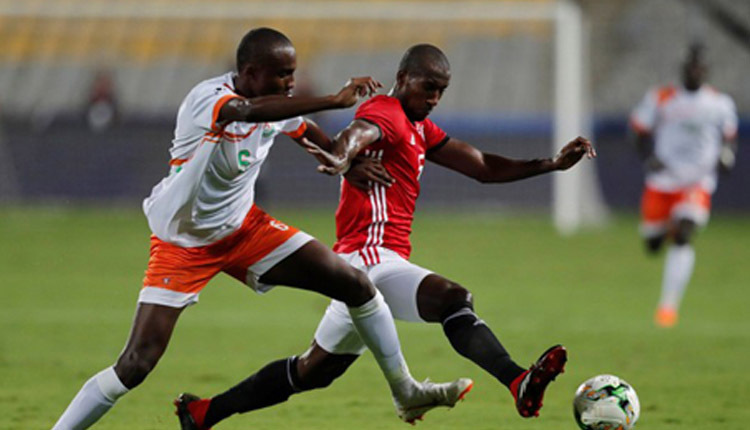 Egypt finished their 2019 Africa Cup of Nations qualifiers campaign under Javier Aguirre with a late 1-1 draw with Niger at the Stade Général Seyni Kountché. “Sure I wanted to win the match despite the fact that the result wasn’t influential,” Aguirre said in the press conference after the match. Aguirre gave debuts to Pyramids duo Ahmed Mansour and Nabil Emad and Ittihad’s on-loan youngster Ammar Hamdi, as well as introducing other fresh faces such as Ahly right-back Mohamed Hani and midfielder Amr El-Sulaya. Niger had the upper hand in a drab first half, with Mohamed Wonkoye causing constant menace to Egypt’s rearguard down the left flank. The only real chance in the first half was orchestrated by Wonkoye in the 32nd minute, with the Horoya AC man bamboozling Hani before whipping in an inviting cross to Issa Sidibe, whose close-range volley struck the upright. Egypt had a solitary half-chance when a low shot from Hamdi was saved by the keeper but he set up the opener in the 47th minute. Intercepting a poor pass from a defender, Hamdi threaded a pass behind the backline to Trezeguet, who broke clear and beat the keeper at his near post with a low shot. Niger then took control and wasted a golden chance to restore parity when they were awarded a penalty in the 55th minute, only for keeper Ahmed El-Shennawi to dive the right way and smother the spot-kick. But they made up for the miss when, from a corner, Moutari collected a pass in the area before blasting a shot into the roof of the night from a tight angle, with El-Shennawi’s slow reaction partially to blame for the goal. The hosts also squandered a couple of chances in stoppage time as they missed out on a famous win on their mighty opponents.